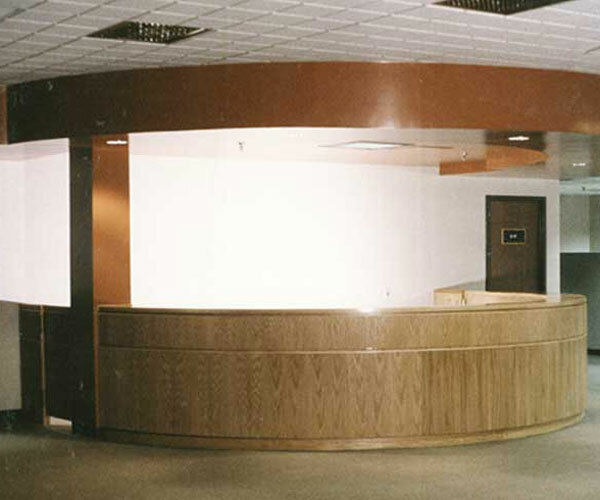 Large Circular Reception Desk with drawers and cubbies. Call for a Free Design Consultation. 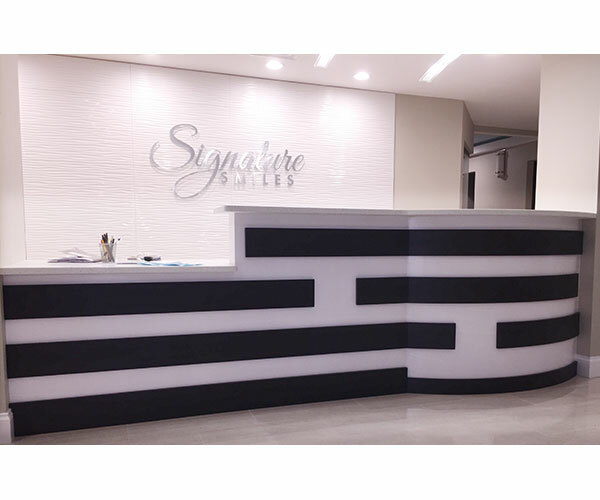 We will design, build, and install the reception desk that is right to your office. Professionally designed cost effective Custom Table and Reception areas with plenty of work room and space for printer, telephone, computer, and overhead wall cabinets. Efficient Reception Areas or a Custom Table will help you stay organized. 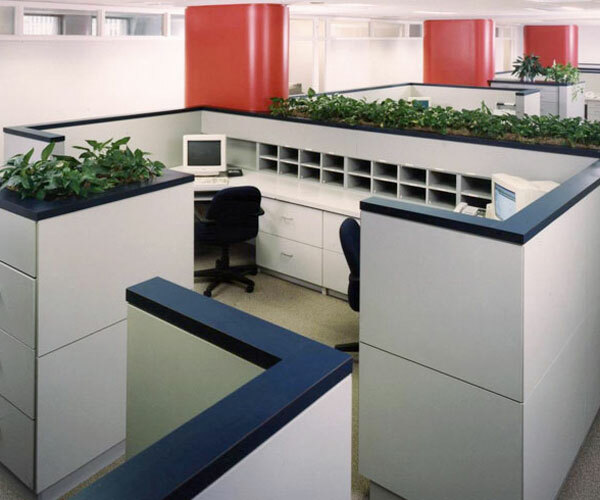 We provide total Office Designs at affordable prices. Visit our Business Office pages for more information. 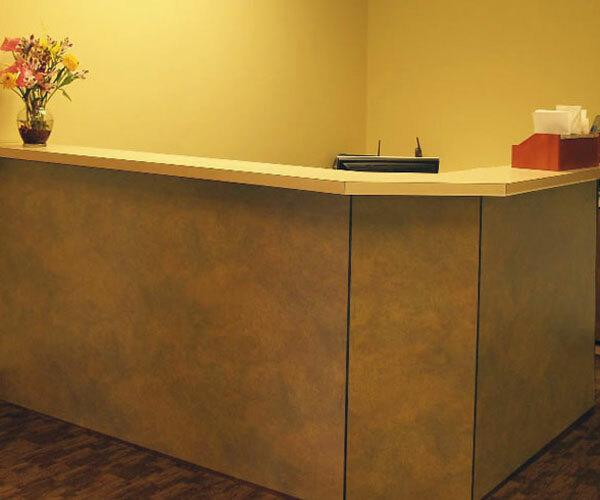 Multiple height spacious reception desk for Doctor’s Office. Our design experts will match your need at great value. Select from a variety of matching colors. 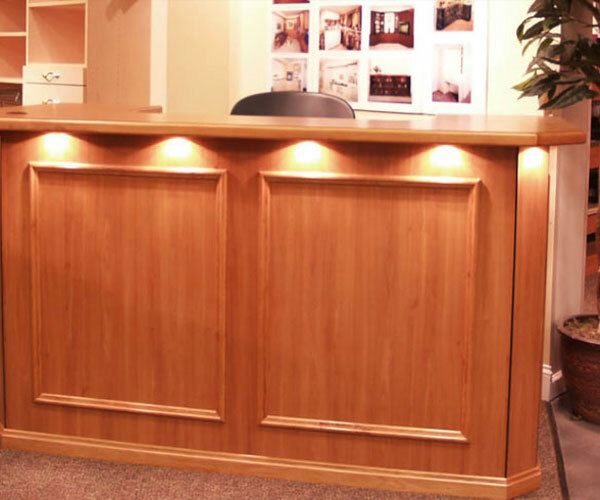 Our designers will work with you to make your Reception Desk both practical and elegant. We provide Business Office Solutions in Maryland, Virginia, and Washington DC. Whether you are a multinational organization, a doctor's office, or a small business owner, we have Office Solutions for you. Start with a practical and an affordable Reception Desk. A Reception Front Desk also means the first impression for your clients, investors, and business partners. Along with a good Reception Front Desk it is important to have a spacious Reception Area with magazines and business publications. The Front Desk is the first place your customers see when they visit your organization. It is also important to have an efficient, well planned Front Desk that will help your receptionist or secretary be organized. 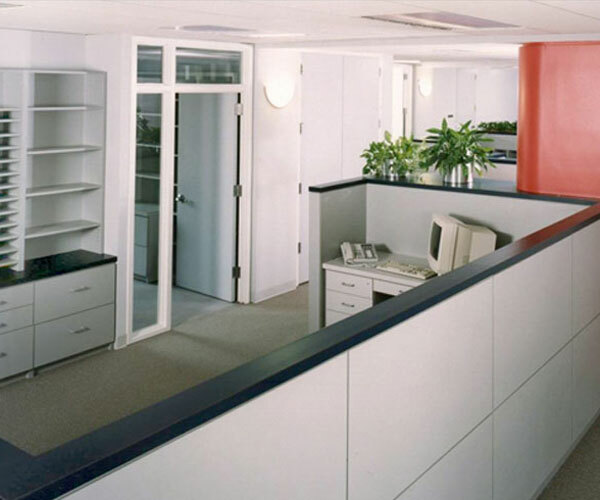 We have been providing total business office solutions including Secretary Desk designs and Front Desk designs for over 30 years. Our Front Desk and Secretary Desk design experts will take all your needs into considerations. 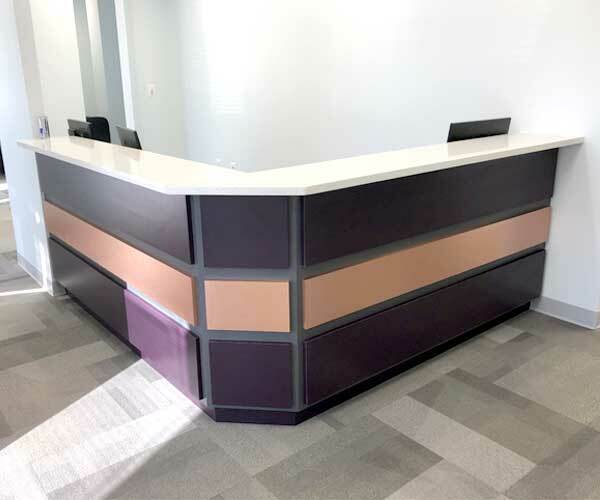 Choose from a variety of different colors and countertops when making your Front Desk or Secretary Desk with Euro Design Center. Have an impressive Reception Room that will give your business partners a good first impression. We have been doing Reception Room Designs for over thirty years. We make custom computer tables, secretary desks, workstations and more. Euro Design Center provides Total Office Solutions from Reception Room Designs to computer workstations. Contact us for a Total Office Solutions package or any individual business office need you have. Our corner closet shelves make it possible to make the best use of corners in a closet. Unlike many closet companies which offer only a few sizes, European Closets customizes each corner shelf's width, length and depth to maximize your space. Most corner shelves are made as a single piece for additional strength and better look. Your Office Reception Desk Area does a lot more than function as a reception desk. 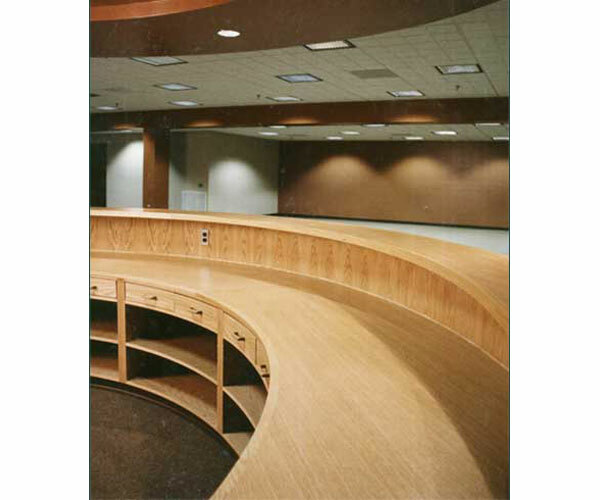 Office Reception Desk Area is where you can make a good first impression to your customers and employees alike. 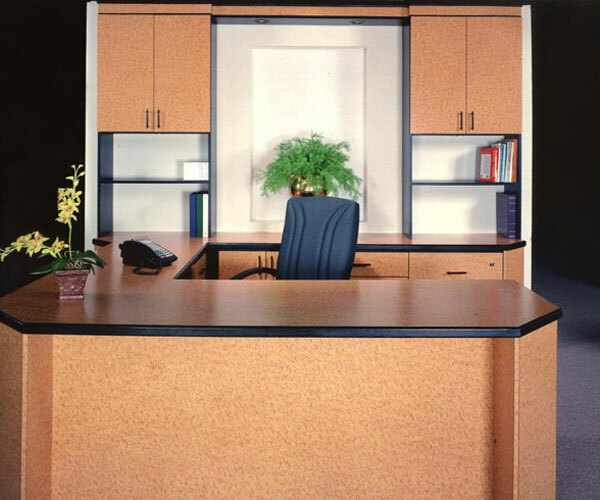 A good Office Reception Desk Area does not depend on the space you have for it. A big Office Reception Desk can easily be poorly designed and a small Office Reception Desk Area can still be highly effective. It all depends on your needs, your business, and the design experts you talk to. Custom made Computer Workstation plus Reception Desk to your business office. Select from a variety of colors and countertops. Design your Computer Workstation, Conference Table, Reception Area or any other business or home office need with the help of our professional designers. We have been making Reception Desks for businesses in Virginia, Maryland, and Washington DC since 1980 and have many satisfied customers. 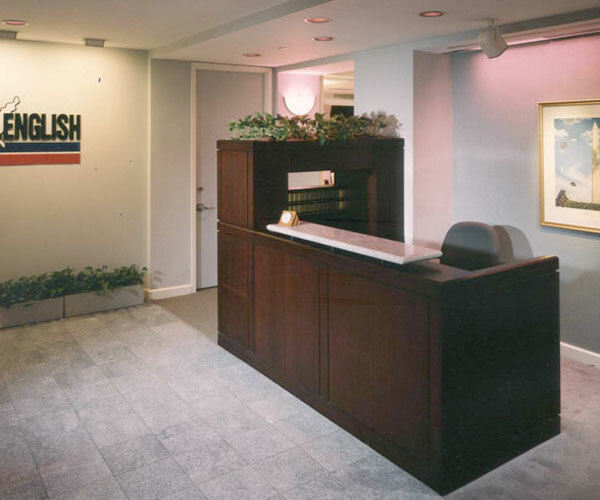 We have designed and built Reception Desks for a variety of businesses in DC, MD, and VA.
Large Circular Reception Desk done by Euro Design Center in yesteryear. 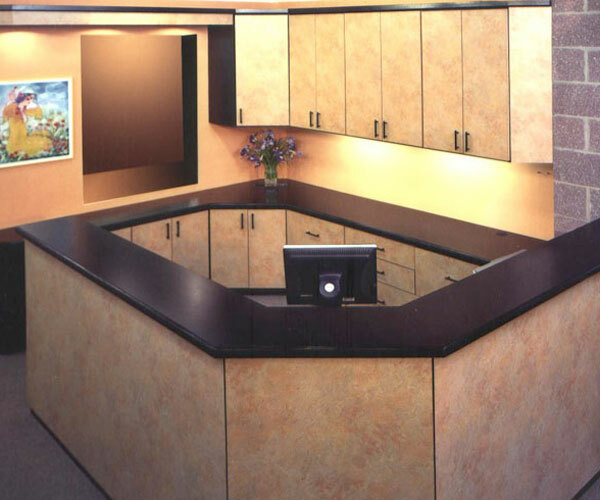 We have decades of experience in custom manufacturing reception desks to match any office. We design, manufacture, and install all our products. No middlemen. We pass on the savings to you, our valued customers. 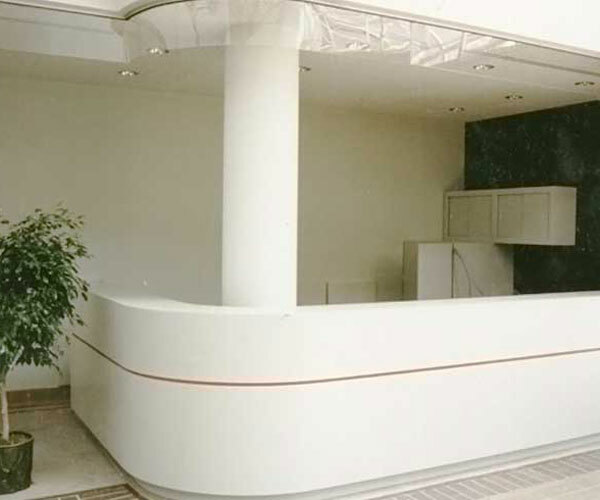 Large L shaped Reception Desk with curved end with matching ceiling. 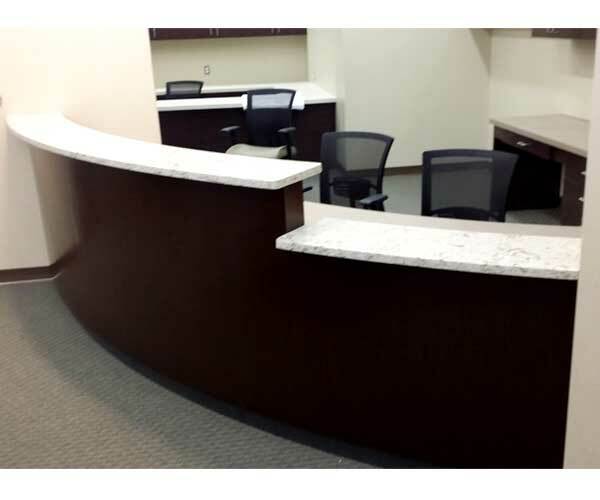 We can custom build reception desks to match your office needs.